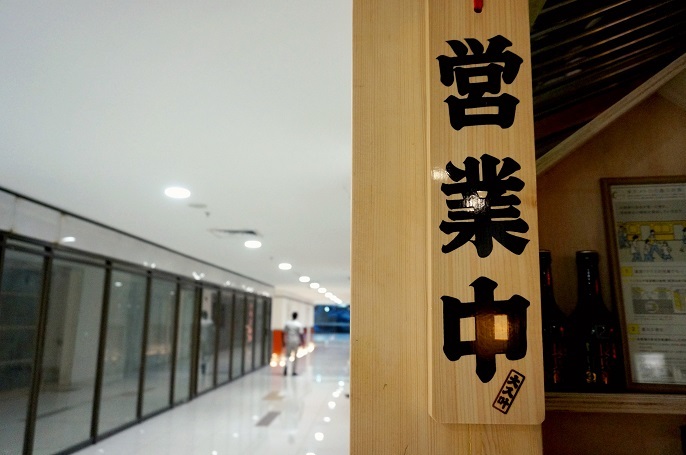 Today, I am going to blog about Koyaku, a new Japanese restaurant located at the Faber Tower, Taman Desa. Me and my family always seek for good Japanese restaurants, especially the ones nearby where we stay. Glad that I managed to find one recently, which they just opened like 5-6 months ago. Koyaku located at the same location as previous well-known Japanese restaurant of "Ïkkyu". Koyaku means "little house" in Japanese. 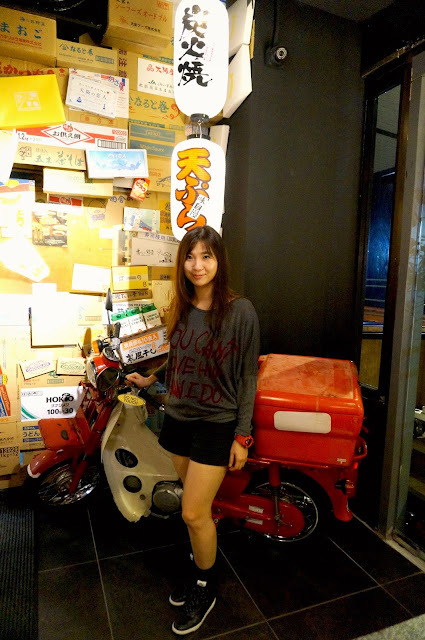 They offer authentic Japanese food with all fresh ingredients imported directly from Japan. 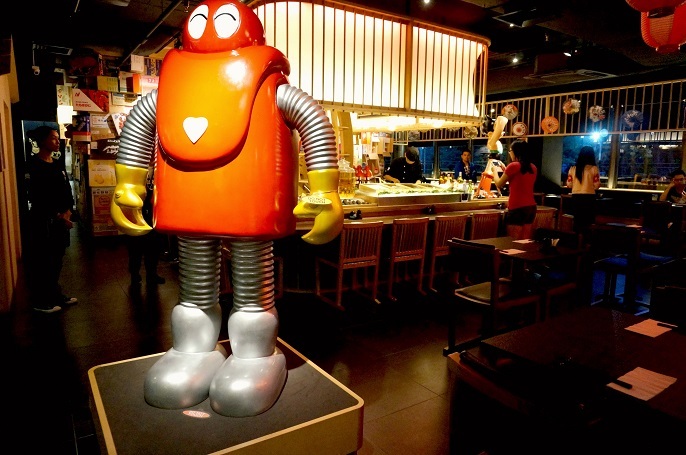 Say Hi to Robocon, who is standing right in front of the entrance waiting for you! 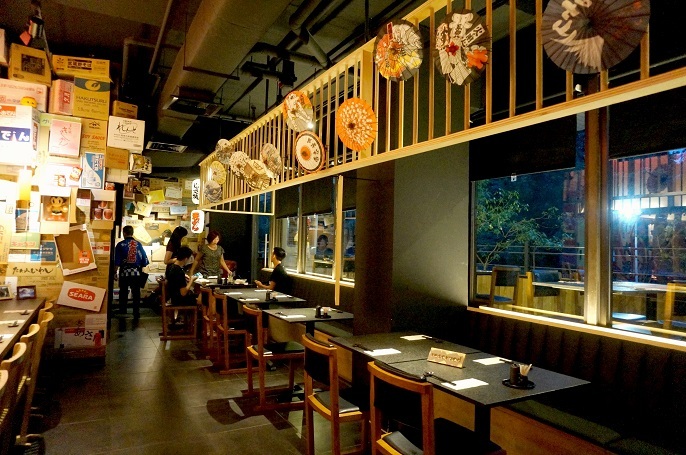 Koyaku emphasizing "no war"and "never ordinary" in terms of their interior design. 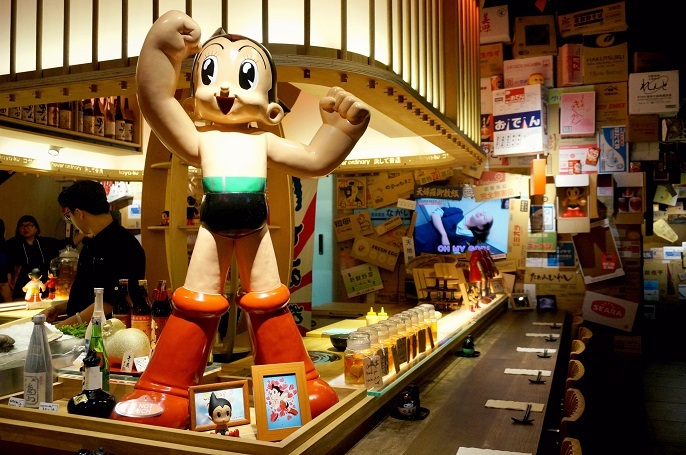 They have very unique in-house design which full of Japanese concept, whereby you will certainly feel like you have landed in Japan once you stepped into the restaurant. The entire place used all kinds of eco-friendly, recycled, and crafted as their decoration materials, which has really stand out from the crowd. 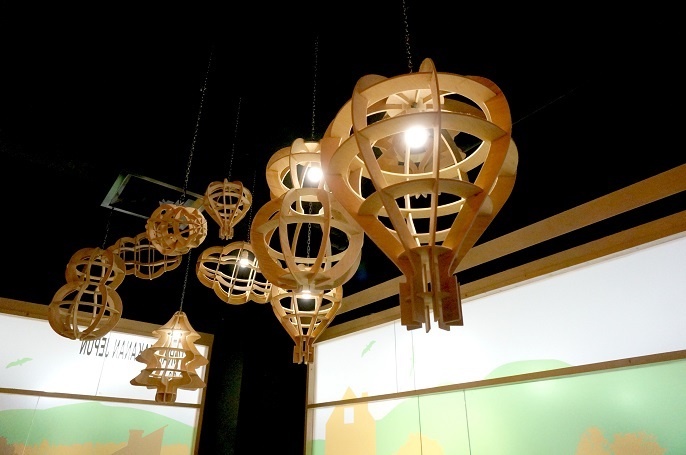 Such as making the lamp with crafted wood. 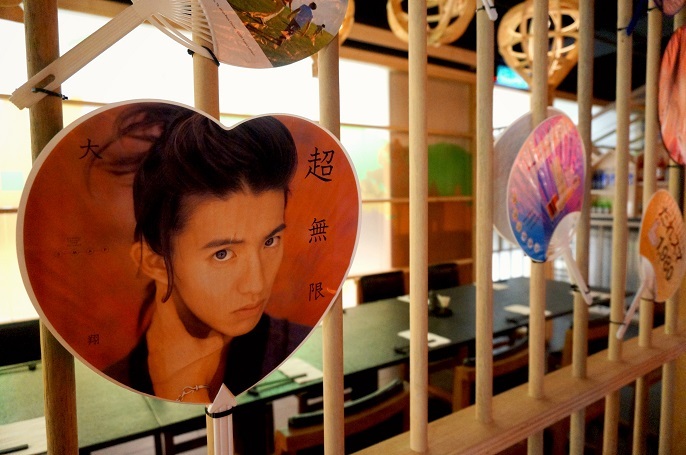 Reused the Japanese fan as one of the decoration. What's more! 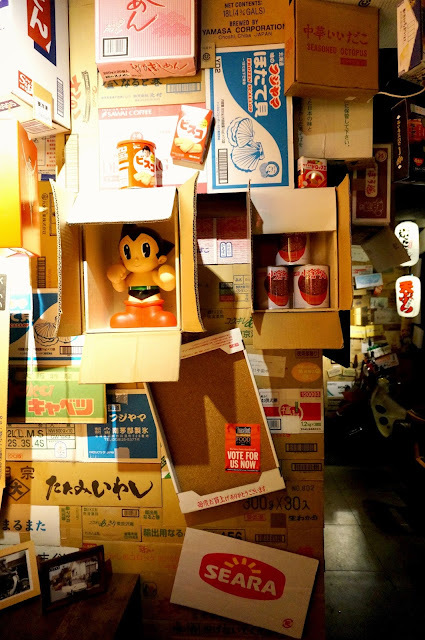 They even imported different kind of recycle carton boxes all the way from Japan as one of the wall decoration. It is also one of my favourite corner inside the restaurant. Truly adore with their creative ideas! 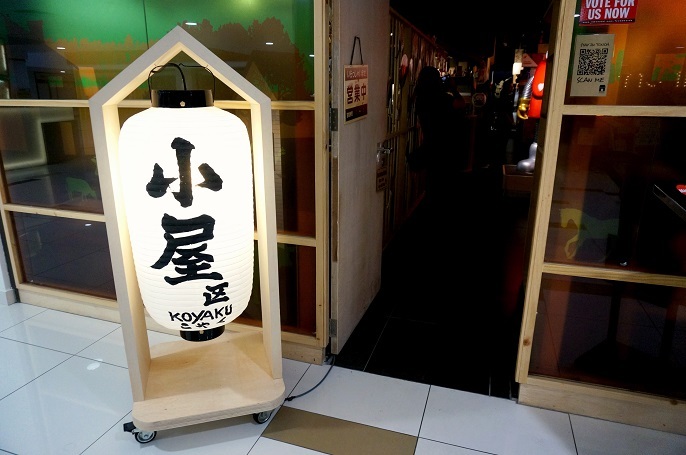 Koyaku offers different dining areas to the customers, not only inside seating but you can also eat outside if you prefer. 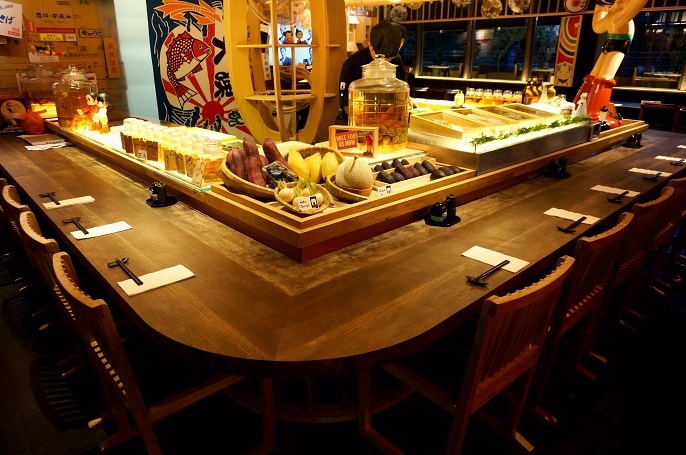 If you coming alone, you can sit at the sushi bar to enjoy your alone time with your meals. 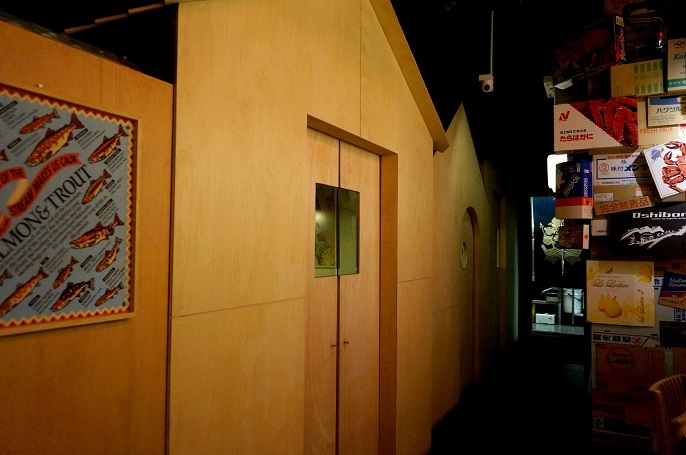 If you come in a big group and would like some privacy, you can also book their small little rooms. They have total three private rooms available. 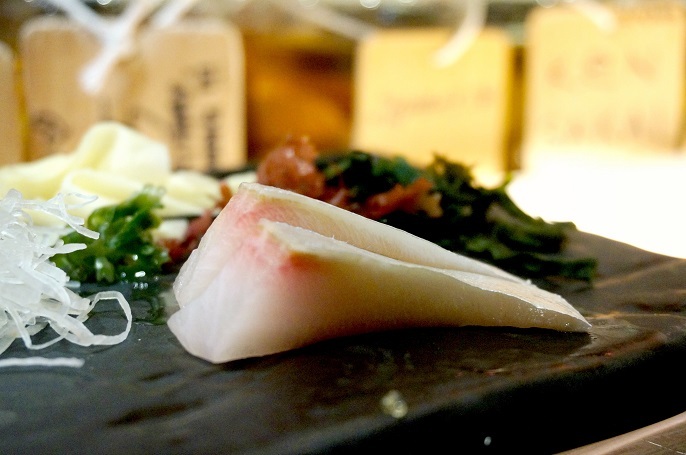 Koyaku not only has different ala-carte menus, they also offers a special Omakase dining experience to the customer. 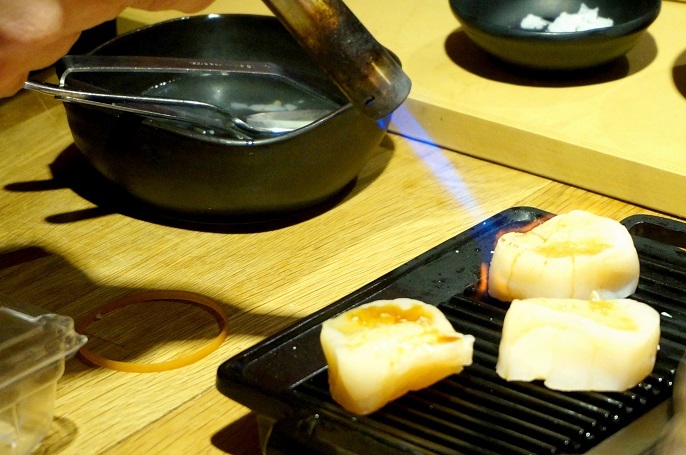 Omakase is a kind Japanese dining which you let the chef to tailor made your meal of that day. The chef will prepare the special meal according to what he thinks is the best to serve on that day, what are the freshest ingredients, and also based on your personal taste preference, your budget and so on. I was blessed to have my first Omakase experience with Koyaku on that day! 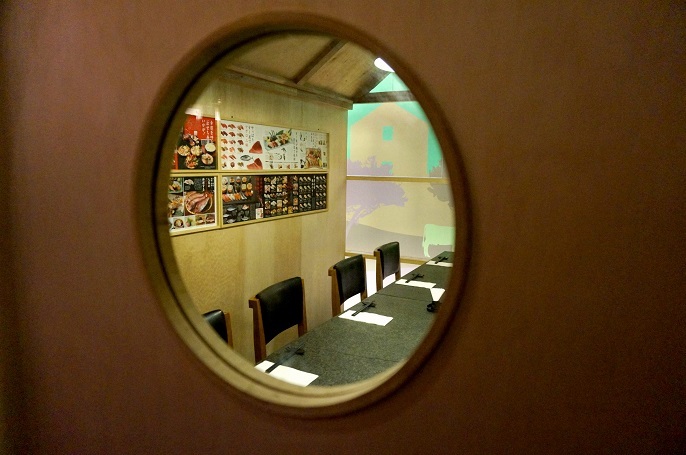 The Omakase menu costs in between RM150 - RM180. 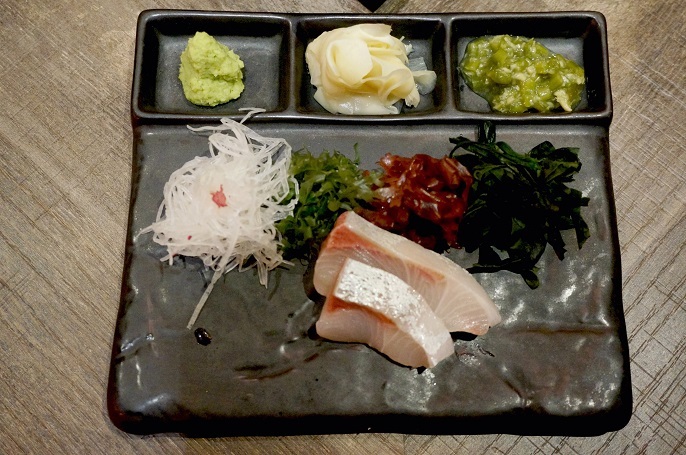 It is all served on a plate like this; with three kinds of seaweed, shredded radish, 2 types of wasabi, and gari (ginger) in the middle. Kisami Wasabi is the one on the right, which is the chopped wasabi; while the Dama Wasabi on the left is the minced type, which we usually have it in other Japanese restaurants. I personally like the Kisami as I think it is less spicy as the minced one. 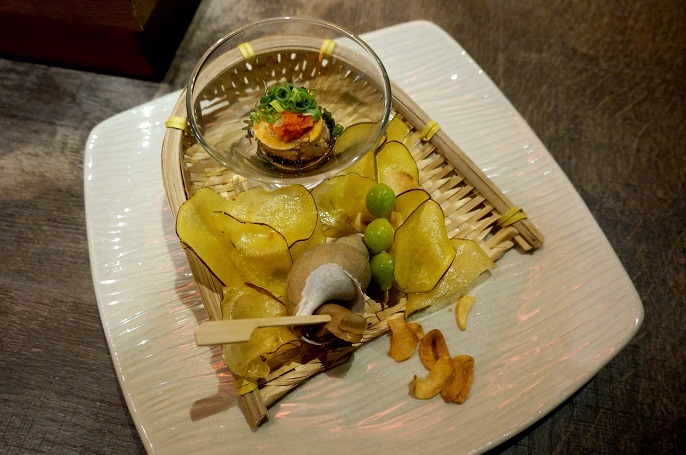 Ankimo (Monkfish liver) and sea-snail came as the appetizer, with sweet potato chips and fried onion as side dishes. Followed by the first sashimi of Kampachi. 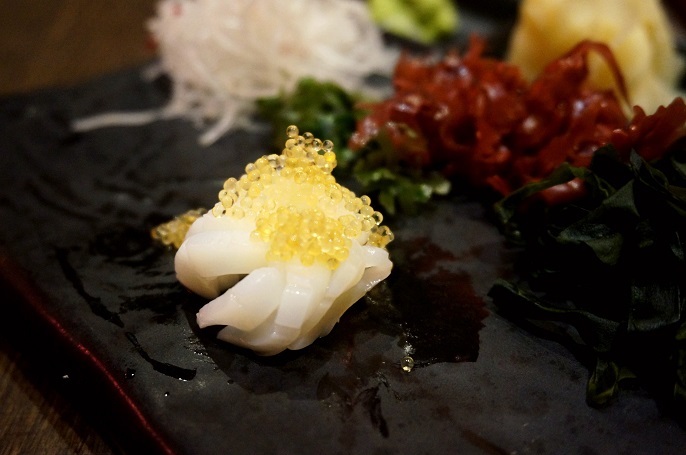 Aori Ika is one type of squid. 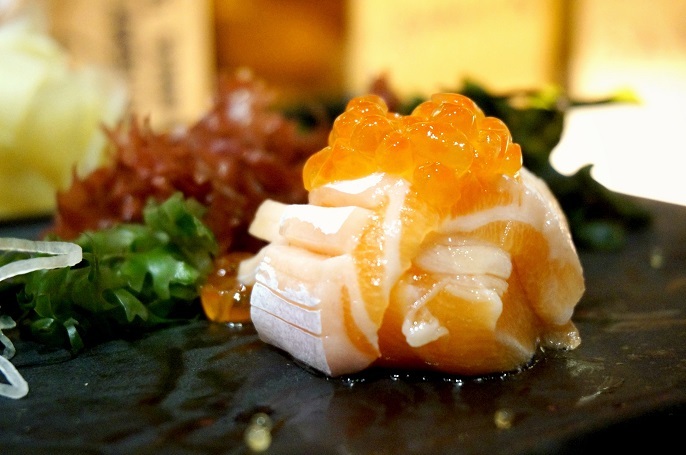 Salmon Belly with a firm texture, topped with Ikura. 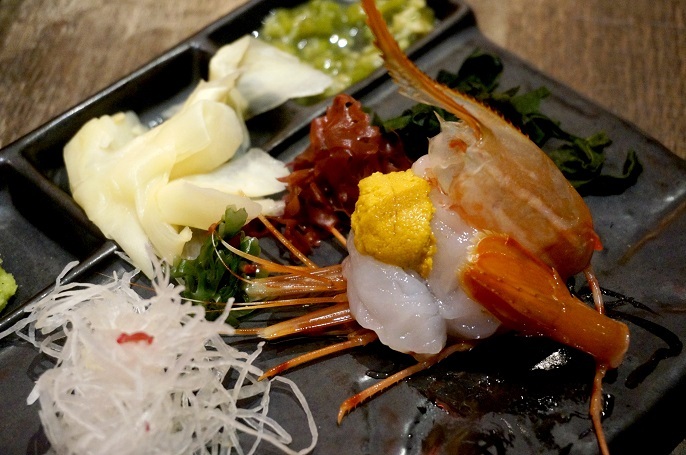 Botan Ebi topped with Hokkaido Sea Urchin. It's my first time eating raw prawn, couldn't believe it can be so fresh and tasty! Shimaji looks a bit similar like Kampachi. 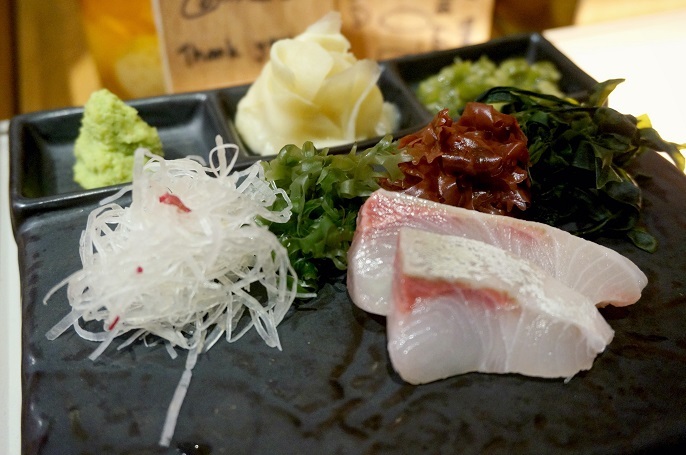 Yet, it is three times more expensive than Kampachi, also the meat is much more firm and oily than Kampachi. Big piece of Scallop from Hokkaido. 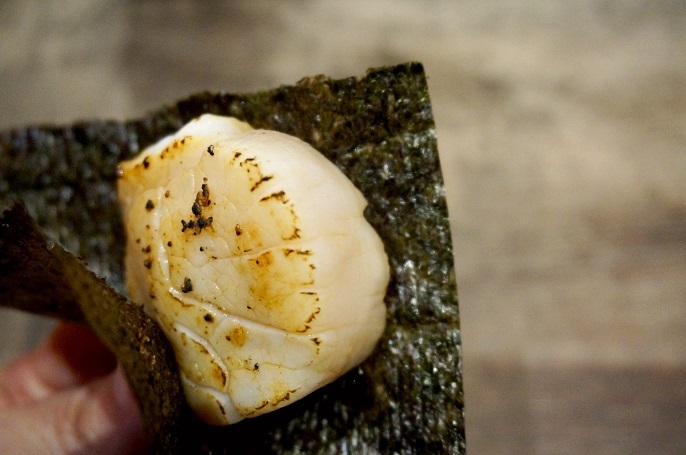 The chef just torched the fresh scallop a bit and wrapped with the seaweed. 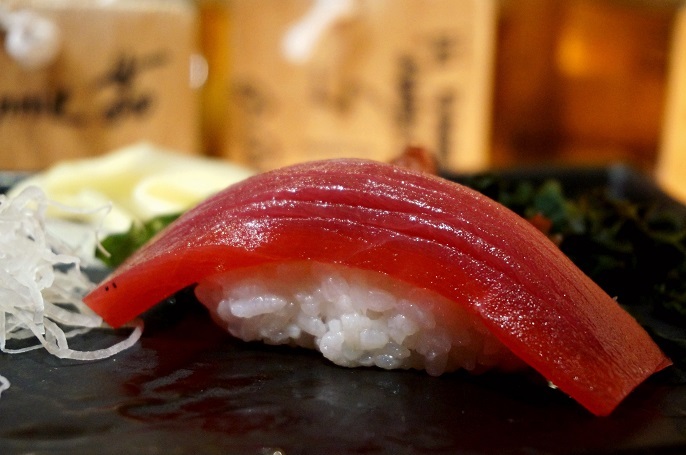 Bluefin Tuna is one of my favourite among the others. The meat is so thick and firm to eat with the rice. 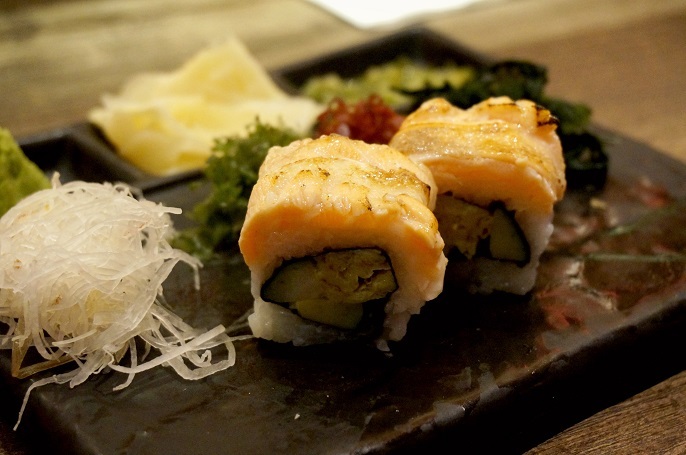 Salmon Aburi, is a sushi wrapped with avocado and topped with a piece of salmon. I love egg but definitely not egg yolk. 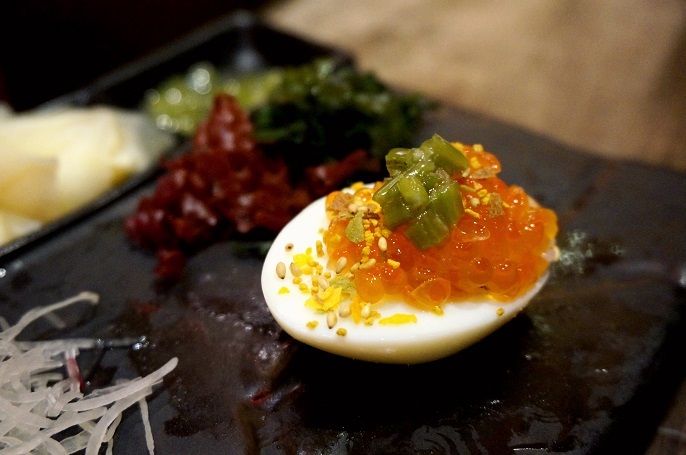 This hard boiled egg replaced rice, Ikura and chopped wasabi with egg yolk is certainly increase your appetizer. 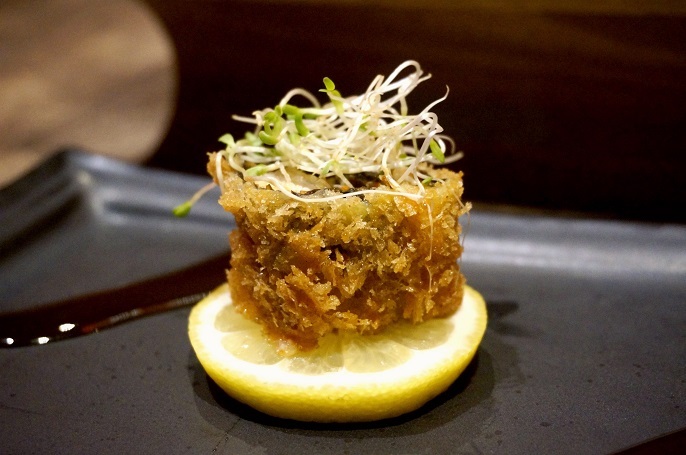 Unagi with Foie Grass is a deep fried seaweed skin served with Tonkaysu sauce. It is definitely a big bomb after all! 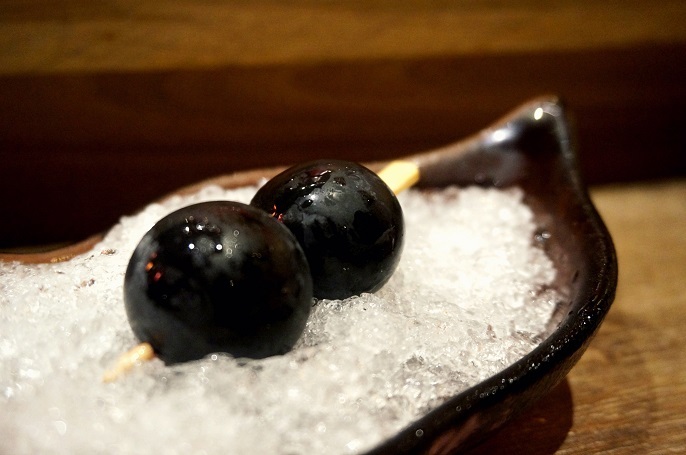 The Omakase ended with Kyoho Grape. So fresh! So sweet! It also has a kind of red wine taste! I was truly impressed with everything in Koyaku, not only their super quality food, but also the atmosphere they represented. 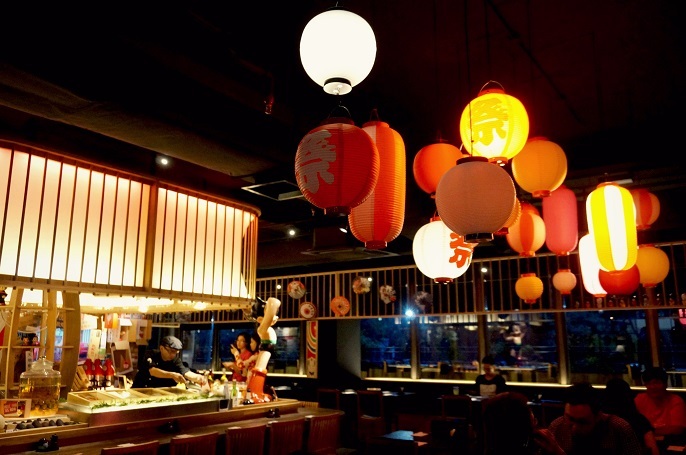 It is surely a very worth trial authentic Japanese restaurant for the Japanese cuisine lovers, right from the ambiance to the food! I actually went back to Koyaku the next few days with my parents to try their Ala-Carte menu of Shake Atama Nabe, and Shima Aji Atama Nabe. Glad that they both also like the food there, and my dad even said no doubt that they served very fresh food here! Hi, How are you? 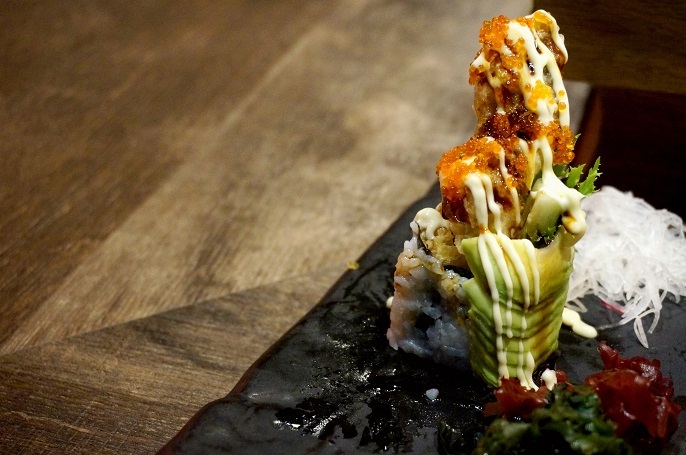 Koyaku does serve delicious Japanese food.